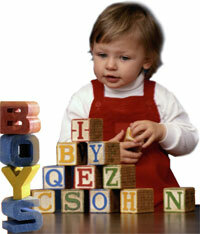 We offer an innovative and effective foreign language learning program for 3 year-old plus kids. The program is based on a unique teaching technique developed by experts at Oxford University (Great Britain). It considers the psychological peculiarities of children’s development at this age and has been adapted by the leading “Reward” methodologists for children whose native language is Russian. The program full of effective and exciting tasks for children of this age enables them to play and not only learn phonetics and communicative models easily, but also read and write in English by the first grade, step by step without even realizing they are studying. This program’s aim is to provide your children with a balanced education: we will be teaching them to not only speak English but also develop their thinking, creative skills, memory and attention, and spark a deep interest in learning, both English and in general. We will make sure our educational program gets your children prepared for school. For this purpose we have a variety of educational methods and techniques that include English video programs, cartoons, songs and chants, different colorful games, books and learning materials that would interest a little person. 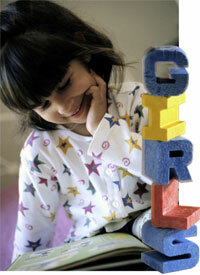 The child will experience every lesson through the medium of English, playing a very important role in the performance. We will be teaching your child to think in English and speak about the things that interest him/her and the ones he/she wants to talk about. Our teachers are highly qualified professionals, who have successful work experience with children of this age, speaking perfect English and having had special former training in this kind of methodology. Give your child a chance to start learning English right now, at the best age to learn, and you soon will see visible results! The next successful step after this program will be the program “English +” that, in turn, is aimed at children’s development and teaches four subjects, three of which are taught in English. Festive events that “REWARD” organizes specially for young children prove to be a real holiday for both children and their parents. 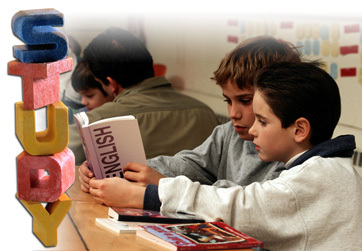 The Centre of Early Children Development with its study of the English language “English +” is a comprehensive program of balanced development in two languages that complements the existing successful “REWARD” course “English for young children”. Highly qualified professionals, who have successful work experience with children of this age and speak perfect English and fairy tails’ characters, will help our young “discoverers” to overcome any difficulties they might face on their way. All stages of the lessons are logically connected and feature one big adventure that a child takes in a land of knowledge! In three of them we use English that is learnt by means of different activities, which is why it’s easily remembered and for a long time afterwards.